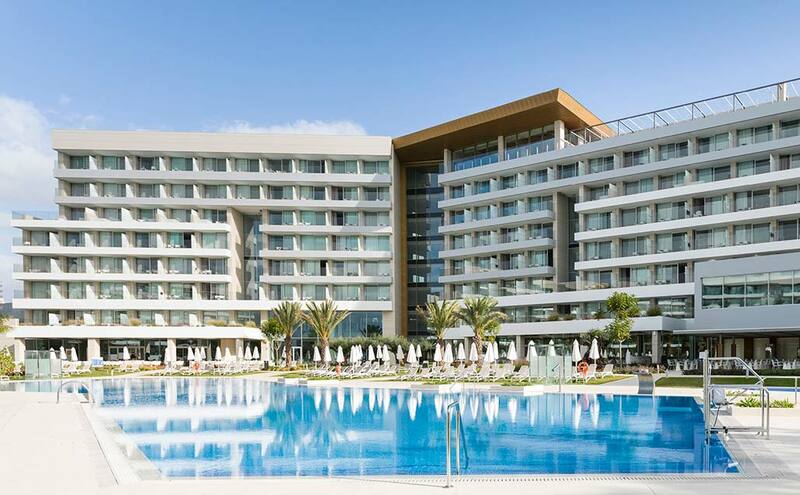 In Palma de Mallorca, the solid surface from PORCELANOSA Group, KRION, has once again been chosen for the installation of a ventilated facade, on this occasion on at Hipotels Playa de Palma Palace Hotel & Spa. The Balearic capital continues to consolidate itself as one of the favourite tourist destinations in Spain, and there are therefore renovations, new openings and a wide range of projects in which KRION is used. Founded in 1971, in Zaragoza, the Arquitectura y Urbanismos MSM studio has established itself as a professional service provider in the property sector in architecture and urban development, and chose our material KRION, with BUTECH for its installation and URBATEK in combination with our solid surface on the facade. Arquitectura y Urbanismos MSM chose KRION for Hipotels due to its resistance to the weather, saline and sand erosion, using 1,000m2 of 1100 Snow White and 900m2 of 6903 Grey, installed with the K-FIX system patented by BUTECH. The rest of the 10,400m2 facade was created with URBATEK and its Neo White Nature product, also installed by BUTECH, divided between ventilated and attached facade.